The dining room is an important setting in our lives. It is the place where we gather as families and friends to share meals, tell stories, receive nourishment, and give thanks. Why not make your dining room furniture something special? At DutchCrafters, we offer genuine Amish made dining room furniture that conveys authenticity and grace, beauty and strength, functionality and charm. The integrity that comes from these American made solid wood masterpieces is second to none. Browse through all of our Amish Dining Furniture to find the perfect set for your home. At DutchCrafters we understand that a dining experience should be inclusive. That’s why our Amish farm tables and other tables are available in a variety of sizes so you can find the right table that best fits your home. Many of our beautiful dining tables can be purchased with extensions to bring the family together at holidays and celebrations, but then change back when the special events are over. Size and extensions are not your only options for customization. You’ll have a variety of ways to tailor your dining room set to your own unique style. Many of our beautiful pieces of furniture allow for extra choices, such as skirting and leg style. And, of course, when you purchase a dining table, dining benches or other handcrafted Amish furniture from DutchCrafters, you can choose from a variety of high-quality hardwoods and select the paint or stain finish that best matches your existing furniture and interior design. Those who enjoy the laid-back sophistication of the French Country style will love the selection. Use our Style filter below to find the right style for you. While your Amish farm table will serve as the centerpiece for the room, you may also need other pieces of handcrafted Amish dining room furniture to complete your look. We offer a range of Amish dining chairs and dining benches that beautifully complement our tables. A matching china hutch or another functional piece will add a finishing touch. If you would like to find out more about our handcrafted Amish dining room furniture like our beautiful Amish Hutch or have any questions about our company, products or policies, please get in touch with one of our friendly sales associates. We are ready and waiting to help you find your future heirloom. 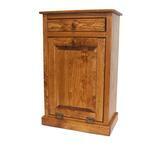 When you find the Amish dining room furniture style of your preference, don’t hesitate to give us a call. Our furniture specialists will help you select the right wood, offer you ideas and suggestions, and even send you free stain samples to make sure you’re getting exactly what you want!